I've decided I'm going to read one book every week this year. I love reading and I find myself going through stages where I barely read at all. Not cool. I recently read an article about a guy who read a book a week in 2009 and I was impressed. After much thought (I would hate to embark on something and not achieve it) I decided that this would be my New Year's Resolution for 2010. I'm a bit scared. I am a goal-setter, though. 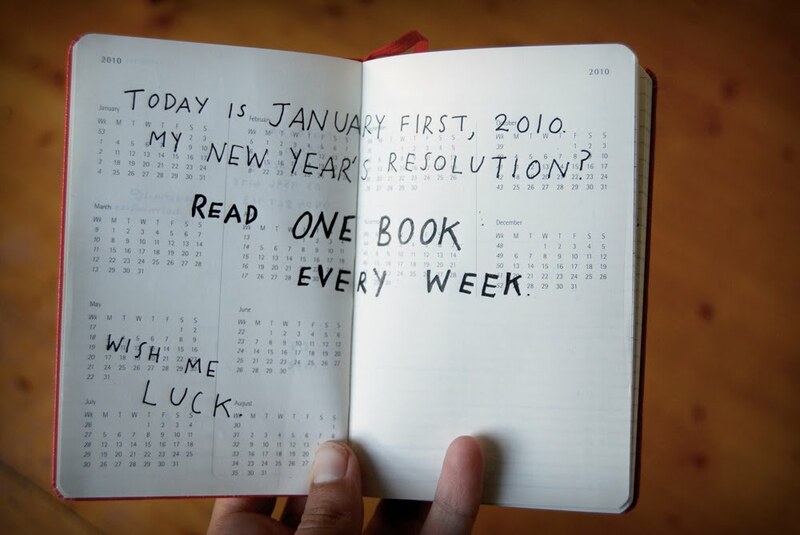 I have been drawing one picture every day since the third of April 2009 and why not take up a new challenge this year? I really hope I can do this. I think I can.